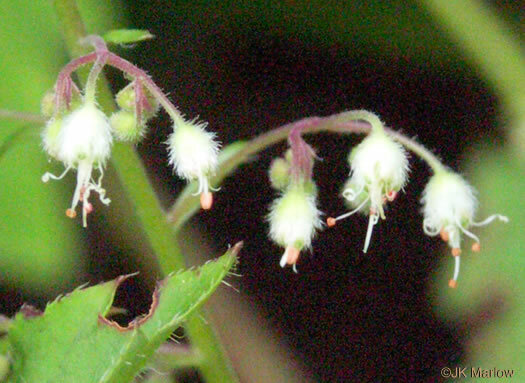 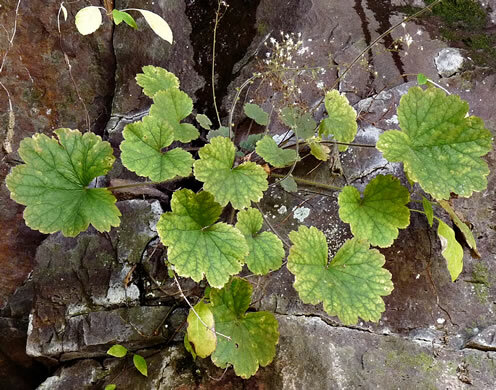 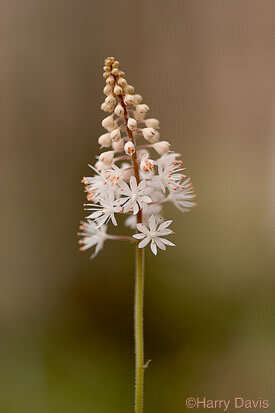 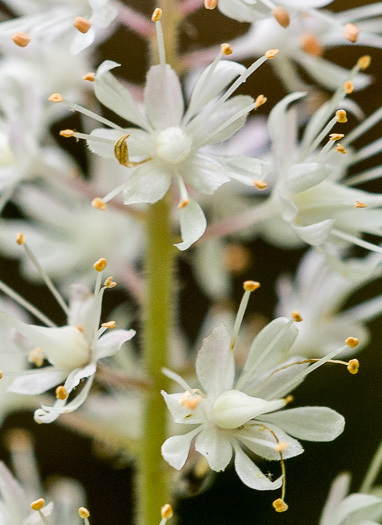 Your search found 9 image(s) of flowers of Tiarella and Heuchera species. 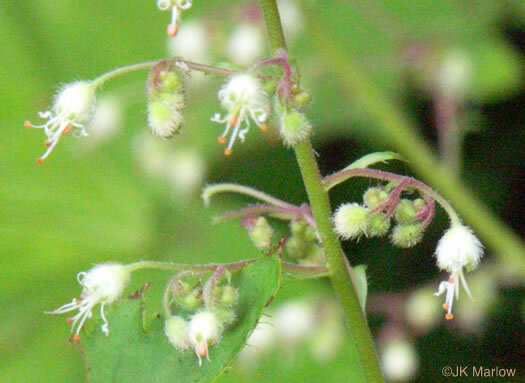 The tiny white flowers are in multiple branched racemes, per Wildflowers & Plant Communities of the Southern Appalachian Mountains and Piedmont. 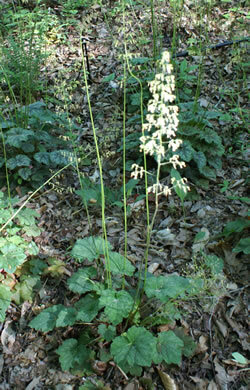 The inflorescence is a pedunculate panicle, per Vascular Flora of the Carolinas. 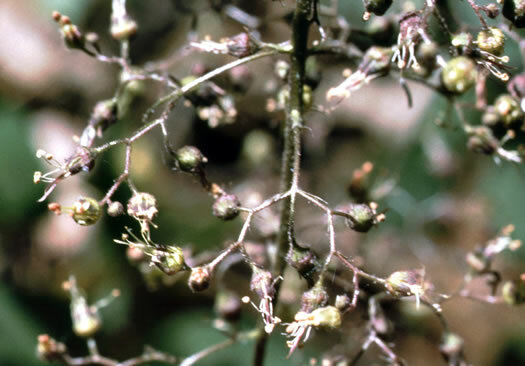 Calyx glandular-puberulent, greenish; stamens and style exserted, per Weakley's Flora. 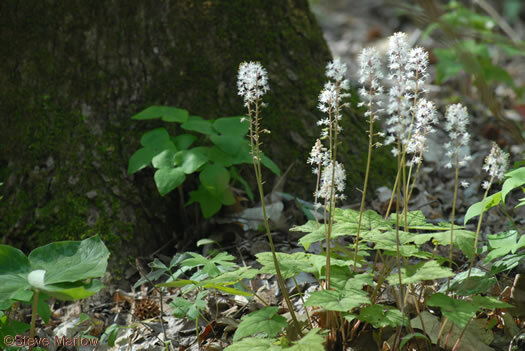 Flowers borne in a terminal raceme [thus mature from the bottom up], per Wildflowers of Tennessee, the Ohio Valley, and the Southern Appalachians. 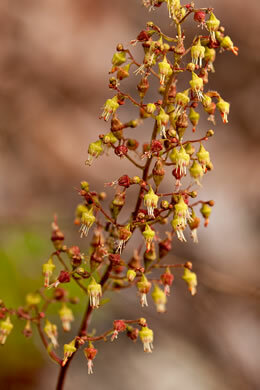 The flowering stalk is leafless, per Guide to the Wildflowers of SC.